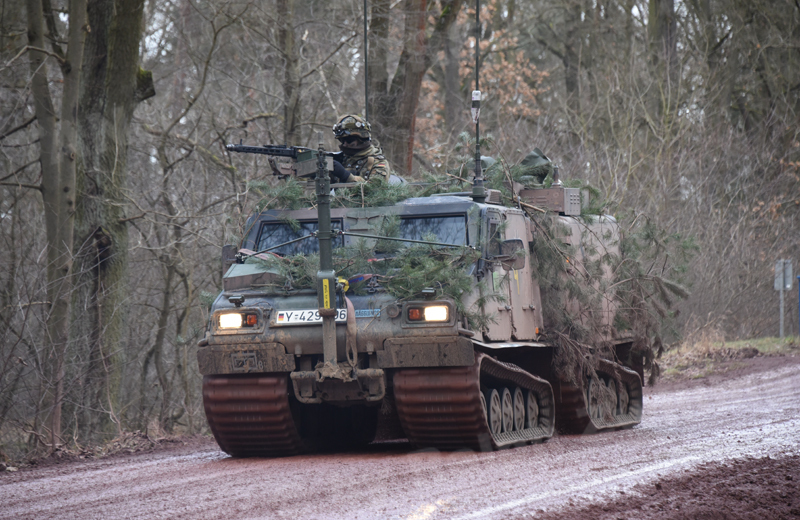 Currently the Bundeswehr fields 81 Bv 206 S Gefechtsstandstrupps Armored All-Terrain Articulated Tracked Command Post Carriers mostly with Gebirgsjägerbrigade 23 „Bayern“ and Luftlandebrigade 1. 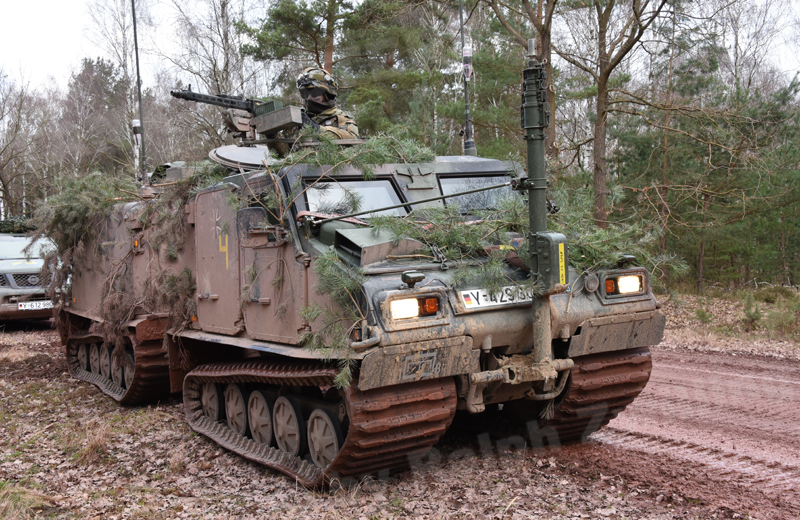 The two sections of the vehicle are articulated, allowing it to keep contact with the ground over broken terrain. The ground pressure is low enough that the vehicle can traverse loose snow without sinking. The vehicle is amphibious, and propelled in water by its tracks. 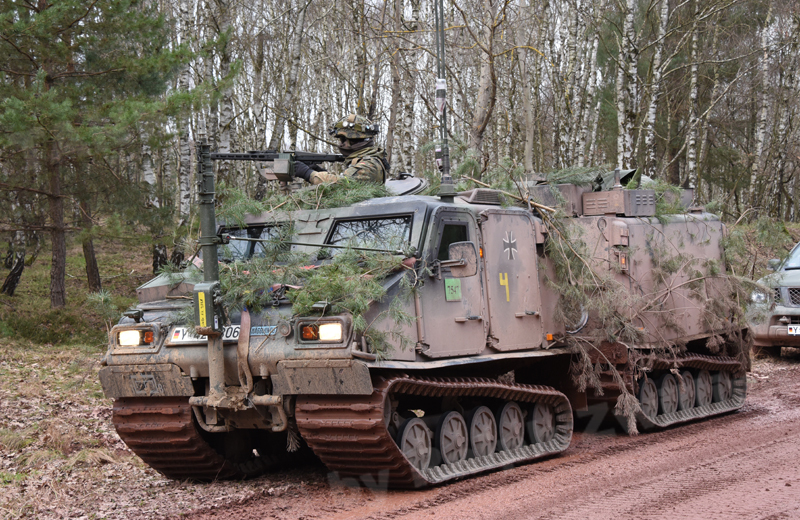 The low ground pressure enables the Bv 206 S to cope with a wide range of difficult conditions. The extensive radio equipment of the vehicle includes two SEM 90 VHF radios, two SEM 93 VHF voice and data radios, a HRM 7400 HF radio, SatCom INMARSAT radio system, Tetrapol radio system as well as a GSM radio system. 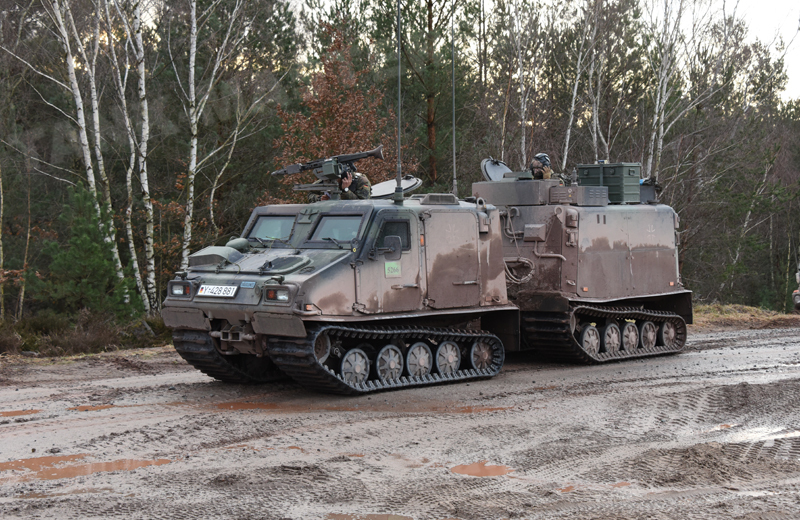 The armament of the vehicle consists of a 7.62mm x 51 MG3 machine gun.